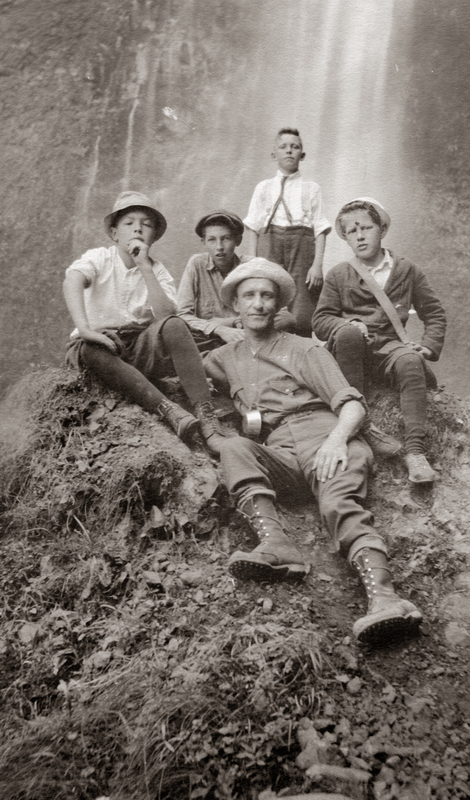 Luard Lyman Woodward as Youth Leader; late 1910's. Description Luard Woodward on camping trip with boys. Transcription Luard Lyman Woodward as Youth Leader; late 1910's.